With war threatening to spread from Europe to England, the sleepy village of Crowmarsh Priors settles into a new sort of normal: Evacuees from London are billeted in local homes. Nightly air raids become grimly mundane. The tightening vice of rationing curtails every comfort. Men leave to fight and die. And five women forge an unlikely bond of friendship that will change their lives forever. Alice Osbourne, the stolid daughter of the late vicar, is reeling from the news that Richard Fairfax broke their engagement to marry Evangeline Fontaine, an American girl from the Deep South. Evangeline’s arrival causes a stir in the village—but not the chaos that would ensue if they knew her motives for being there. Scrappy Elsie Pigeon is among the poor of London who see the evacuations as a chance to escape a life of destitution. Another new arrival is Tanni Zayman, a young Jewish girl who fled the horrors of Europe and now waits with her newborn son, certain that the rest of her family is safe and bound to show up any day. And then there’s Frances Falconleigh, a madcap, fearless debutante whose father is determined to keep her in the countryside and out of the papers. As the war and its relentless hardships intensify around them, the same struggles that threaten to rip apart their lives also bring the five closer together. They draw strength from one another to defeat formidable enemies—hunger, falling bombs, the looming threat of a Nazi invasion, and a traitor in their midst—and find remarkable strength within themselves to help their friends. Theirs is a war-forged loyalty that will outlast the fiercest battle and endure years and distance. 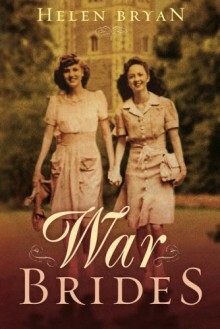 When four of the women return to Crowmarsh Priors for a VE Day celebration fifty years later, television cameras focus on the heartwarming story of these old women as war brides of a bygone age, but miss the more newsworthy angle. The women’s mission is not to commemorate or remember—they’ve returned to settle a score and avenge one of their own.